Who is SF® Academy For? SF® Academy is the exciting new creation from Street Fit® offering business owners the chance to bring high quality dance, fitness and performing arts tuition together under one banner. For dance, fitness or performing arts enthusiasts, a SF® Academy will help tone your body, hone your talents and boost your confidence, ready for the big stage. 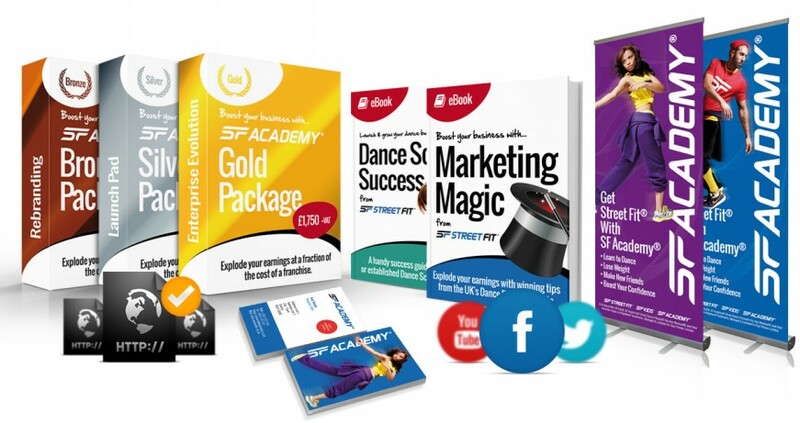 SF® Academy for business owners. SF® Academy is designed for both fresh-faced and experienced business owners, providing your existing business has been operating for a minimum 6 months. Every SF® Academy is different, but every owner is a licensed Street Fit® Instructor who has been inducted into the Street Fit® ethos of quality, creativity and a commitment to excellence. Whether you’re looking for a single weekly dance fitness class or a structured programme of achievement in multiple disciplines, SF® Academy can deliver. *Not all SF® Academy owners will offer children’s classes/courses. Check with each studio individually for a list of what they offer.